Above, animal sculptures are displayed on the Easigrass exhibit while, below, a visitor listens to an audio recording whilst viewing a floral installation on the Interflora exhibit. Above, a visitor views “Neoteric” a floral installation by Robert Hornsby. Above, lilies are displayed on the Harts Nursery exhibit. 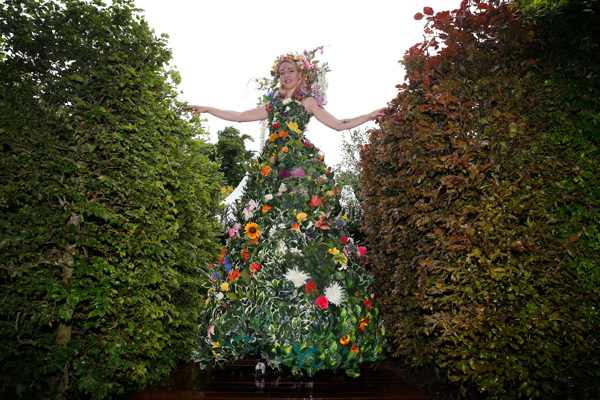 Above, stilt walker “Mrs Flora” poses on the Big Hedge Co. garden.